Looking for alternate green spots in Singapore? Looking for historic spots in Singapore? Look no further. 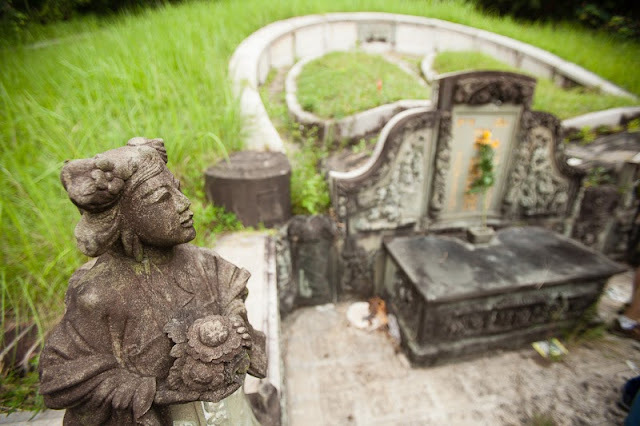 Check out both Bukit Brown Cemetery. Sprawled across 200+ hectares of wooded land, the cemetery is scattered over several hills, and is the largest Chinese cemetery in Singapore. However, it is so much more. As mentioned, the area is an excellent green venue for outdoor activities. These include hiking, cycling, birding and even horse-riding. The lush green is wild and natural, surely the draw for many an outdoor enthusiast. But when I said it's so much more, I was not particularly referring to the greenery. I was thinking more about our heritage and culture. For in Bukit Brown cemetery lies many of Singapore's founding fathers and pioneers, and with them, a whole slew of historic and cultural insights. 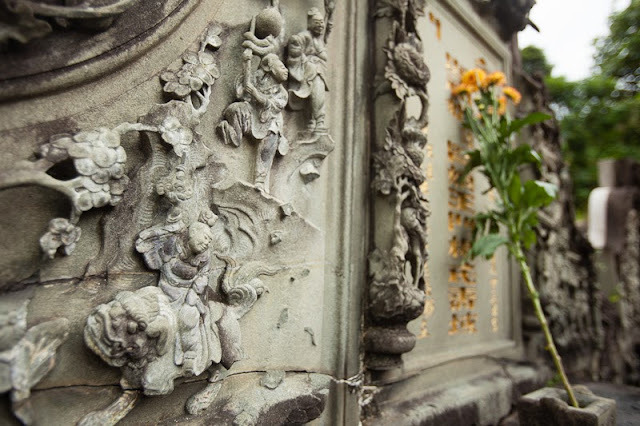 Sikh statue guards guarding Chinese tombs, mosaic patterns, engravings and reliefs, and many stories on the inscriptions and epitaphs that to this day, is still being uncovered. 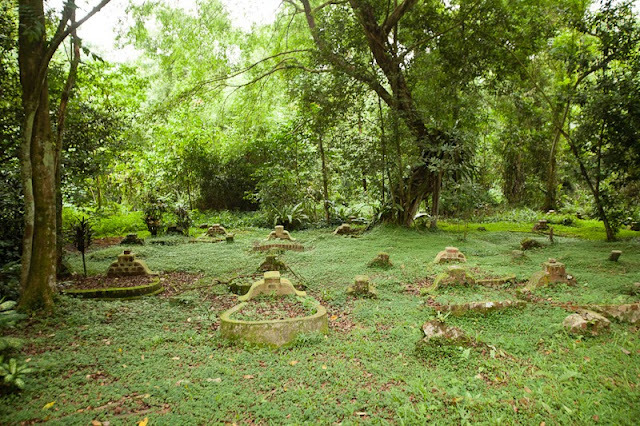 Shockingly though, the government of Singapore had deemed it necessary to build a four-lane road cutting across it, and as a result, 4000+ graves had to be exhumed. Over 4000 slices of our history may be lost. And to make things worse, exhumation works are to begin in the fourth quarter of this year (2013), which leaves little time for people to uncover these histories. And little time for Singaporeans and tourists alike to enjoy the beauty and serenity of the place, for surely the outlook and ambience of the place would be compromised. 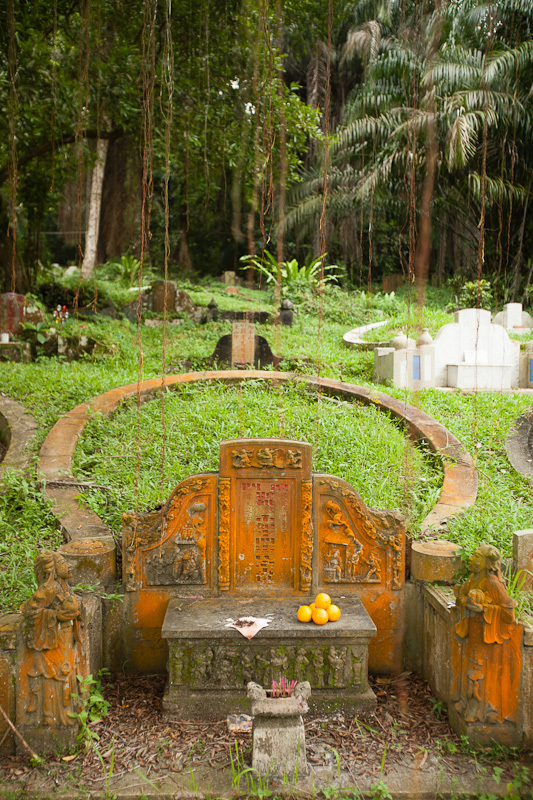 For all things on Bukit Brown, check out the aptly named website All Things Bukit Brown. 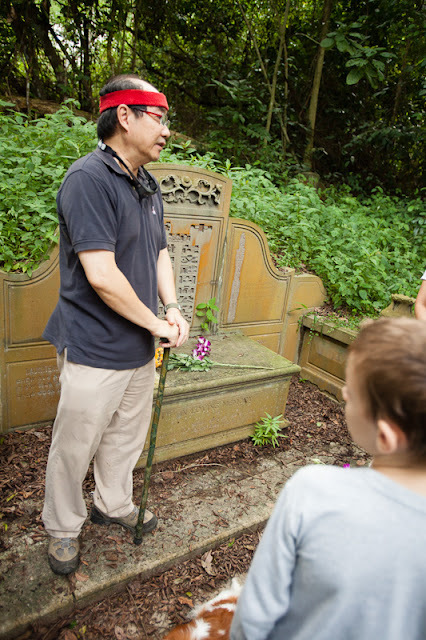 There are free guided walks led by passionate volunteers almost every weekend, and I have to say, these guides will make your walk through the cemetery an especially educational one. The information and histories dished out by these guides are just amazing! 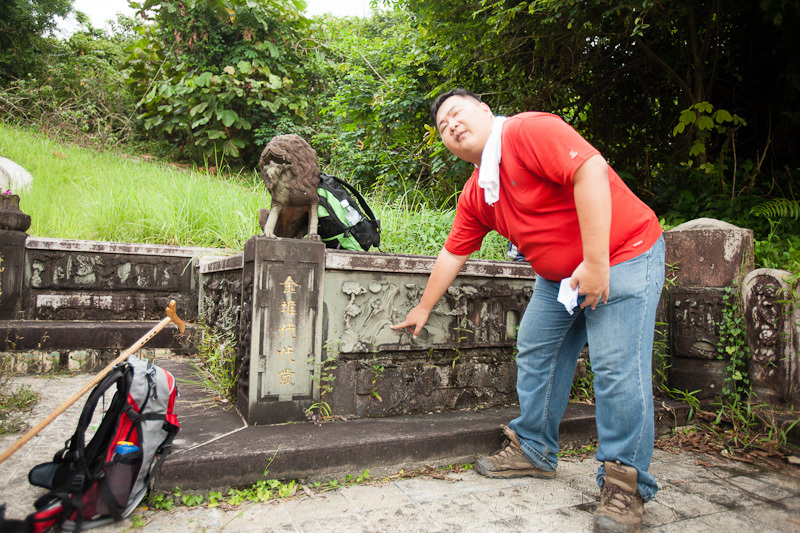 It was doubly amazing when at the grave of Chew Boon Lay, whose name is now on our roads and a MRT station, his great grandson was around to recount the history! These group of people are still petitioning to stop the road development. For those who are going for the guided walks (and you should), please provide your support if needed. I feel a sense of loss and indignation for those people in the affected graves. It is especially poignant to think that in life, they had toiled for the development of Singapore, and in death, they would be ousted from their final resting place in the name of the development of Singapore!